Experts123: iTunes Ping Review: Will Apple Dominate Social Networks? iTunes Ping Review: Will Apple Dominate Social Networks? Automatically installed into every iTunes 10 is Apple's new social networking feature: Ping. 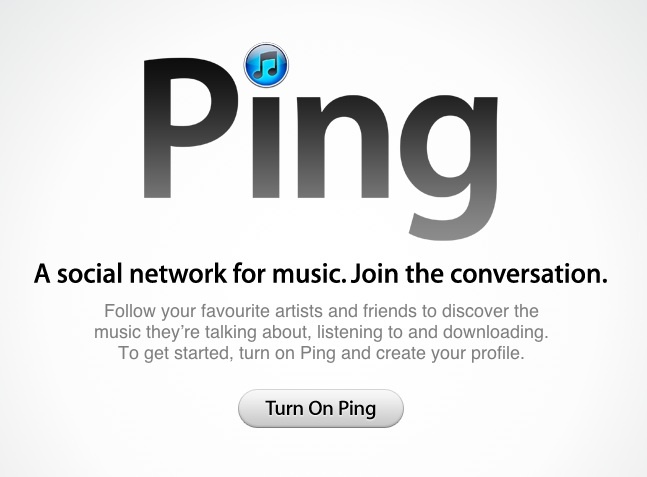 Introduced by Steve Jobs as "the social network for music," Ping attempts to connect you to artists and other listeners and broaden the music you listen to and are introduced to. The real questions lie behind Pings competitors. With a "follow" feature similar to that of Twitter and music channels that rival popular sites like Pandora and Last.fm, will Ping monopolize social media? Similar to the likes of Facebook and Twitter, Ping gives all users a "newsfeed" of the music the people they are following are both buying and listening to. Ping also keeps up with your habits, recording everything that you listen to, turning it into trends, and projecting it to the users that follow you. Now everyone will be able to see the kind of music you are listening to, and the type of music you prefer. Ping is very successful at driving iTunes sales. With a reported 160,000 people who have already signed up for Ping, iTunes expects its sales to skyrocket even more than they already have (iTunes has just sold it's 12 millionth song). 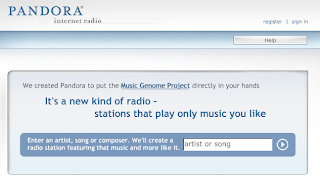 The End of Pandora and Last.fm? While Ping does let you see what others around you are listening to and influences consumers to buy specific music, Ping does not provide the features that Pandora and Last.fm provide. It has yet to develop a way to see what others are listening to as they listen to it, and it is nearly impossible to search for artists and your friends. Pandora.com and listen to full songs. Ping also seems to pull from your iTunes purchasing history instead of your iTunes playlist history making it difficult to accurately suggest music. Not all music is purchased over iTunes (sometimes illegally, sometimes through artists' sites) and only having suggested music based on what you have purchased is neither user-friendly nor desirable. What sites like Pandora and Last.fm sincerely hold over Ping are the radio stations. On Ping, you can only hear 30 second snippets of songs, as opposed to on Pandora, where you can hear entire songs. As a "social network," Ping falls short of Twitter and Facebook as well. There is no way to integrate your other social networking sites into Ping. You have to update you Facebook and Twitter statuses completely independently of your Ping status, which is almost discouraging considering all of the social networks the majority of America already belongs to. While Ping does not completely uphold its "social network for music" reputation that Steve Jobs is trying to promote, Ping is a fantastic marketing strategy to promote iTunes sales. It encourages people to purchase songs on iTunes that their friends are listening to. Plus, recommended songs and friends' feeds are completely automated. If you're going to be on iTunes anyways, why not give Ping a try? It has been shown that friend-recommendations are more accurate than any other kind. Ping helps pinpoint the kind of music that fits you, even though it has not created a social networking atmosphere quite yet. A Look at Spiderman 4: Who is Gwen Stacy?